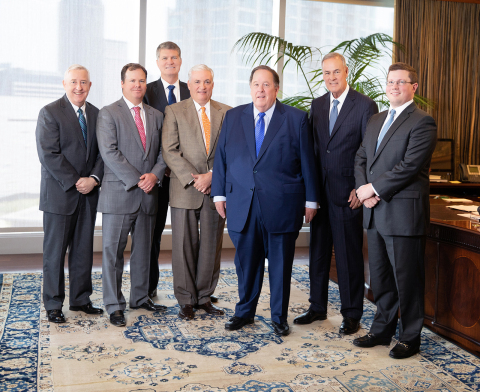 DALLAS--(BUSINESS WIRE)-- Dallas-based Hilltop Holdings Inc. (NYSE: HTH), the holding company for PlainsCapital Bank (PlainsCapital), today announced it has completed its acquisition of privately held, Houston-based The Bank of River Oaks in an $85 million all-cash transaction. The acquisition more than doubles PlainsCapital’s Houston-area portfolio with the addition of approximately $342 million in total loans and approximately $369 million in total deposits. The Bank of River Oaks’ three locations will now operate as full-service PlainsCapital branches, increasing PlainsCapital’s presence in the market to five locations. The acquisition was announced in February 2018 and approved by The Bank of River Oaks shareholders on May 10. Regulatory approvals were received on July 16, 2018. With the closing of the transaction, The Bank of River Oaks Chairman R. Andy Lane Jr. will serve as PlainsCapital’s Houston Region Chairman. The Bank of River Oaks was founded in Houston in 2005 with local expertise in commercial lending, private banking and healthcare lending. In addition to Lane, its leadership team consists of Jerry Brewer, who leads the bank’s private banking business, and Mark Troth, who oversees healthcare lending. Brewer and Troth will serve as PlainsCapital Bank branch presidents in Houston. Hilltop Holdings was advised in the transaction by Wachtell, Lipton, Rosen and Katz as legal counsel. The Bank of River Oaks was advised by Performance Trust Capital Partners, LLC as financial advisor and Parrott Sims McInnis & Foster, PLLC as legal counsel. This press release contains forward-looking statements within the meaning of the Private Securities Litigation Reform Act of 1995. These forward-looking statements involve known and unknown risks, uncertainties and other factors that may cause our actual results, performance or achievements to be materially different from any future results, performance or achievements anticipated in such statements. Forward-looking statements speak only as of the date they are made and, except as required by law, we do not assume any duty to update forward-looking statements. Such forward-looking statements include, but are not limited to, statements concerning such things as our plans, objectives, strategies, expectations and intentions and other statements that are not statements of historical fact, and may be identified by words such as “anticipates,” “believes,” “could,” “estimates,” “expects,” “forecasts,” “goal,” “intends,” “may,” “might,” “plan,” “probable,” “projects,” “seeks,” “should,” “target,” “view” or “would” or the negative of these words and phrases or similar words or phrases. Factors that could cause our actual results to differ materially from those described in the forward-looking statements include, among others: (i) the possibility that any of the anticipated benefits of the proposed transaction will not be realized or will not be realized within the expected time period; (ii) the risk that integration of the operations of The Bank of River Oaks will be materially delayed or will be more costly or difficult than expected; (iii) the effect of the announcement of the transaction on customer relationships and operating results; and (iv) the possibility that the transaction may be more expensive to complete than anticipated, including as a result of unexpected factors or events. For a discussion of additional factors that could cause our actual results to differ materially from those described in the forward-looking statements, please see the risk factors discussed in our most recent Annual Report on Form 10-K and subsequent Quarterly Reports on Form 10-Q and other reports that are filed with the Securities and Exchange Commission. All forward-looking statements are qualified in their entirety by this cautionary statement.